Join us for a great day of supporting ECF students! 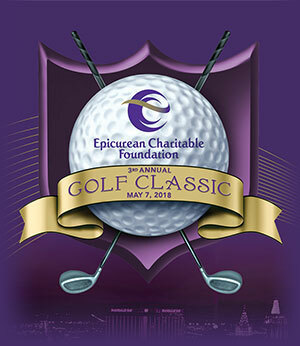 The ECF Golf Classic is a social day of golf featuring a putting contest at 7:15am and an 8am shotgun start. It is a scramble format with a requirement of two drives from each player in the group. There will be contests on the course sponsored by: Brady Linen, Caesars Entertainment, and Top Golf. Complimentary beverages will be available throughout the round followed by a BBQ lunch, raffle, and awards presentations in the clubhouse following play. Player packages are priced at $1,000 for teams of four. ECF is a Las Vegas-based, non-profit organization committed to making a positive difference in the community and enriching the lives of deserving local students by providing mentorship and educational support as they pursue a career in the field of hospitality. Many low-income students have simply given up on education because they know they do not have the financial or emotional wherewithal to make it through higher education. For those at-risk young adults, the obstacles to achieving their dreams seem to increase every year. The skyrocketing costs of a higher education present a major barrier to the future of our young people. ECF’s Future Leaders of Hospitality Program addresses these issues by making a college education accessible to low-income, young adults, while also helping mold their skill sets to create a highly qualified, local workforce that support Las Vegas’ primary industry. We hope we can count on your support for ensuring the success of this event. We have limited foursome and hole sponsors left! For more information or to RSVP, please contact Melissa Arias at melissa@ecflv.org or click here! Thank you in advance for your consideration. For more information, please contact Melissa Arias at 702.932.5098, melissa@ecflv.org or visit the ECF website at www.ecflv.org.